If you’re not using the right SEO strategies on your main business website, blog and social media pages, there’s a high chance that you’re not ranking very high on search engines like Google. 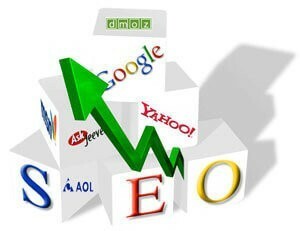 The world of search engine optimization is constantly evolving, as Google often makes changes to how it ranks pages. User engagement is expected to play a big role in SEO for the upcoming year. This means that you should fill your blog with engaging, high-quality content that your users will want to share with others, thus creating valuable links back to your website. Any experienced Atlanta SEO consultant will tell you just how important it is to build a solid social media presence for your organization. Google and Bing are giving priority to businesses that have a lot of engagement on social platforms. The more likes, tweets, shares and social clicks that you get, the more likely it is that your pages will rank high. Page load speed has been an important factor as far as SEO is concerned for many years now, but it seems like search engines are giving it even more importance. You should do everything possible to ensure that your pages display quickly for all users. Recent studies show that video is expected to make up the vast majority of Internet traffic in the next few years, largely surpassing all other types of content. By creating branded videos and hosting them on a YouTube channel, you can get your brand a lot of positive attention. Studies published by Search Engine Watch indicate that content pages longer than 1,500 words perform better in search rankings and bring in a bigger number of organic search visitors. Users pay more attention to longer posts and are more likely to share them on their own blogs and social media pages. Google seems to consider secure websites as more trustworthy. If you haven’t already, get a SSL certificate for your website, which encrypts all information transferred between your server and the user’s device.